Emily Mulhern Wins Class 3A State Title | Run S.M.A.R.T. After winning the state meet her freshman and sophomore years Emily struggled with various setbacks. This summer she connected with coach Alicia Shay and they worked on staying positive through all the ups and downs. Legs, feet, knees, hamstrings — Emily Mulhern has injured them all over the past two seasons. 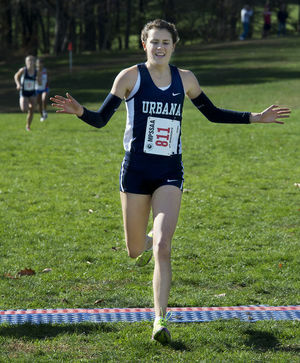 At various points this fall, the Urbana senior standout had to sit out cross-country meets to rest her body. On Saturday, at the scene of some of her greatest running accomplishments, nothing bothered her — and no one could catch her. “I just felt so good today,” she said. What's Your Actual Marathon Race Pace?